Remember the days of eating school lunch in the cafeteria? If you grew up in America, you can think back to the times of a burger consisting of gray “meat” – with no lettuce or tomato – or a rectangle of pizza with cold cheese. Oh, and don’t forget the sweet acidophilus milk! New York-based scholar Alexis Agliano Sanborn wants to change the way you think about school lunch by showing you how it’s done in Japan in her documentary Nourishing Japan. By stark contrast to the U.S., schools in Japan serve balanced meals with fresh vegetables and real meat and fish to go along with rice and soup. Often school lunch is made from scratch at the school and served by the children themselves in their classrooms. This is standard across the country, and as a result Japanese children are expected to live into their 80s, which is the highest life expectancy in the world, according to the World Health Organization. 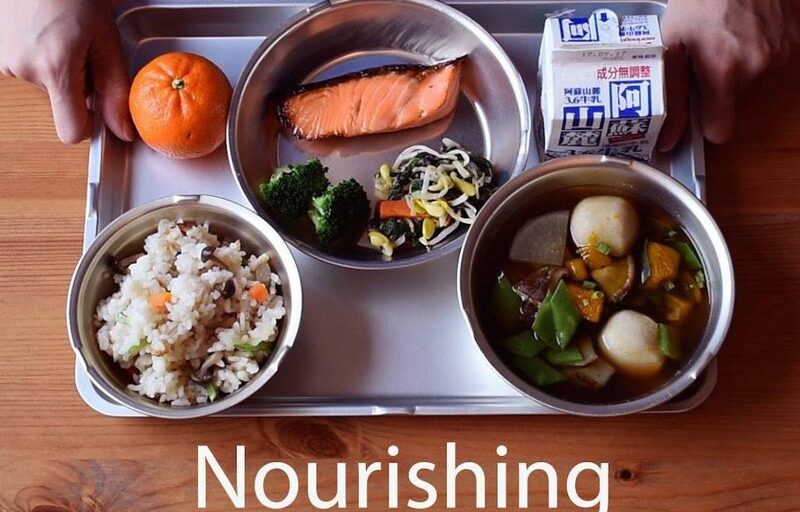 But Nourishing Japan is more than just a film about what’s on the trays at Japanese elementary schools. Sanborn talks to government officials making food education policies and takes us right to the source of the food: the farmers themselves. She conducted most of her interviews last year and plans to return this summer for follow-up interviews and footage, as well as to visit Tohoku to learn about how schools there have been coping since the earthquake/tsunami/nuclear disaster of March 11, 2011. To fund pre- and post-production of the film, Sanborn, a California native who has studied and worked in Japan, created a Kickstarter crowdfunding campaign in early January. With a deadline of early morning on February 4, she’s making a final push to collect $12,000 in donations. 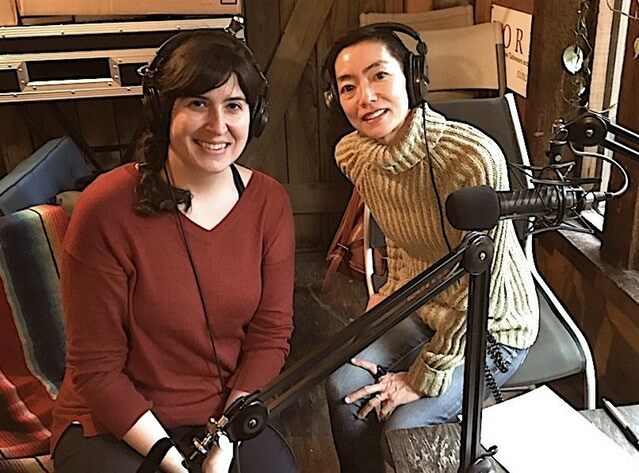 The campaign has received a lot of attention, with articles in the Japanese press (in English and in Japanese) and an appearance by Sanborn on Japan Eats, a weekly radio program about Japanese cuisine hosted by food writer Akiko Katayama. In her interview with Katayama, Sanborn says the underlying theme of Nourishing Japan is “kansha,” the Japanese word meaning “appreciation.” She focuses on the appreciation of and respect for our environment and surroundings: the animals who gave their lives to provide us nourishment; the people who cultivate, cook, and serve the food we eat. And it’s that interconnectedness that drives Sanborn to produce Nourishing Japan. She doesn’t want to create a dry reference about government policy and caloric requirements; she wants to examine the people who make food education possible in Japan. Who knows? Maybe a government official or school administrator in the U.S. will see Sanborn’s completed film and implement a healthy alternative to gray hamburgers and cold pizza. Donate to the Nourishing Japan Kickstarter campaign here and follow Sanborn’s story on the Nourishing Japan website and Facebook page.